When the wedding day is arrived, every girl wants to look stunning and fabulous on her wedding day and makes the center of attention of everyone. She should try her best to make beautiful and gorgeous but there are something lack in her beauty. She takes care of her personality but due to some misunderstanding she ignores some steps which are necessary for enhancing the beauty. 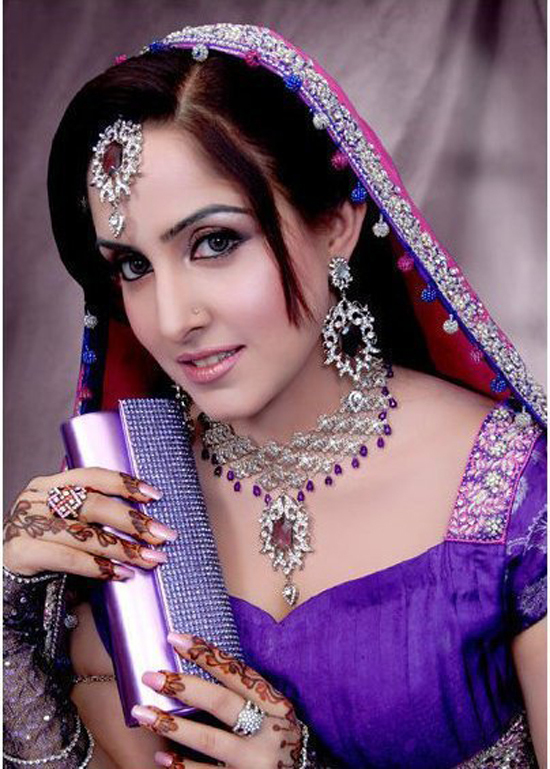 Now we will share some beauty tips with you which are essential for any bride to take care of herself. She should walk in the morning and do exercise in the morning time which is essential for her physical health. Exercise makes her healthy and extends her beauty and attractiveness and give new life to the skin. She should apply skin care creams and lotion in order to protect her skin while going in to the sunshine. If possible do not go into the sunshine and remain inside. She should sleep in time and try to enough sleep of 8 hours which helps to give glow and shinning to her skin. If she does not sleep well then there will be dark circles around her eyes and she will not look beautiful and pretty. She should drink 10 or more glasses of water in 24 hours which help to give glow and shining to her skin. If she does not drink enough water then her skin will look dry and there will be rashes on her skin which looks ugly on the skin. The girls should apply lip gloss i=on their lips to make them glowing and soft. Otherwise their lips will look hard and show a bad look to everyone. To make your hands smooth and soft, apply moisturizer which gives softness to your hands and will look perfect on the wedding day. Girls should remove makeup from their faces before going to sleep if there is makeup on her face then they will look ugly and makeup will absorb in to the skin of their face which leave dints on their faces. To make their feet beautiful and stunning, they should use pedicure two times in a week. Pedicure has great effect on their feet and they will be soft and tender. If girls who are going to marry, adopt such kind of precautions then they will look stunning and beautiful. The application of all above mentioned tips will help them to look beautiful and gorgeous on their wedding day and extend their beauty.